The Jaguar 980 is the largest forage harvester in harvesting machine specialist Claas range. Thanks to the impressive output of a V12 diesel engine generating 884 BHP as well redeveloped drive and harvesting systems this machine is used anywhere with a need to quickly and efficiently harvest large fields. 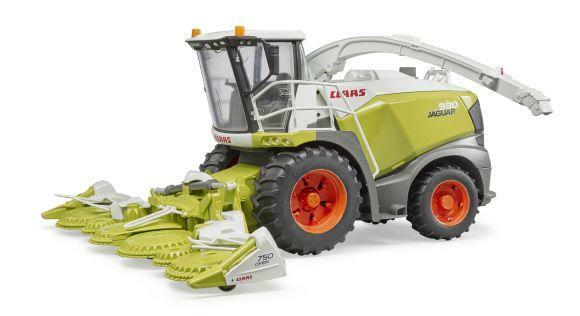 The forage harvester's impressive corn header has been equipped with six driven pull-in slides and the silage spout can be turned in any direction. Door and bonnet open to provide a view of the detailed cab as well as impressive engine to once again underline Bruder's mission statement: 'just like the real thing'. 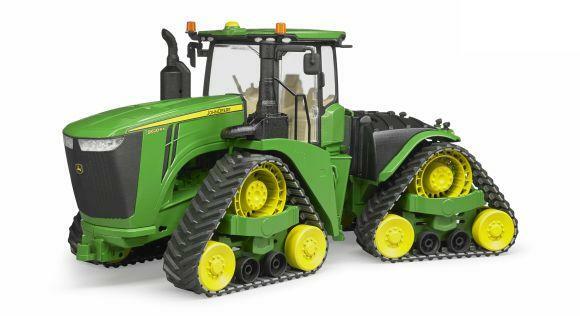 The replaceable wheels represent a further highlight to additionally boost the toy's value. 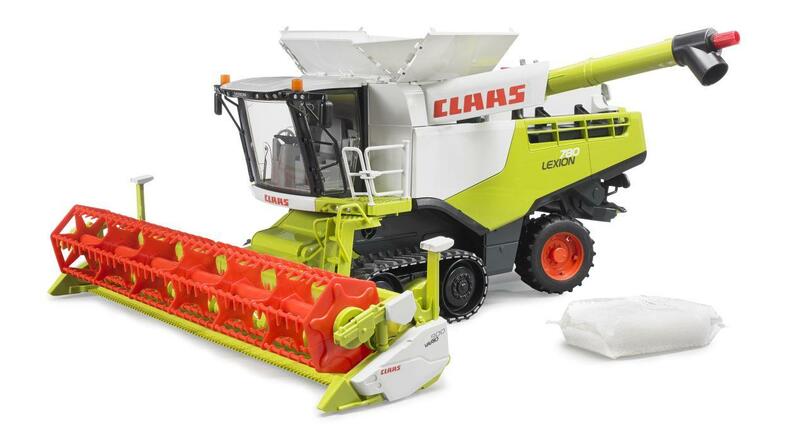 This great vehicle can be enhanced by the Claas pick-up accessories (BRU02325) and the mechanics set (BRU62100).